I prepared chicken sandwiches for my family the other day. This snack is a sure hit with my kids. The ingredients are simple. You need pre-boiled chicken breast, mayonnaise, dash of sugar, salt and other spices, lettuce. I used pandesal from Pan de Manila. 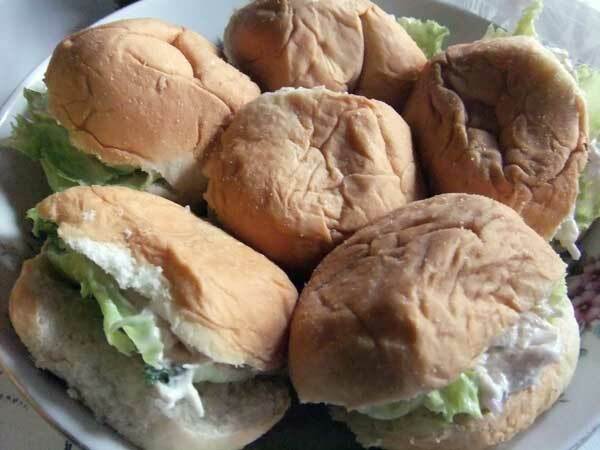 This entry was posted in Healthy Snacks and tagged chicken sandwich, chicken sandwich recipe on August 3, 2011 by Yami.